Have you hugged a Seeker in 2010? Okay, for anyone who has followed this blog – or even knows anything about me – I’m a BIG fan of Seekerville. What is Seekerville, you might ask? It’s a fabulous, funny, and encouraging site for writers and readers of good fiction. Though most of the authors write inspirational fiction, all readers are welcome to glean from the wisdom and fun of this site. I became a Seeker-Stalker in May of 2009 and have been helplessly and happily addicted ever since. Even had the wonderful opportunity to meet many of the Seekers at the American Christian Fiction Writers Conference in September. It was one of my 2010 goals!! So – as a tribute to some fabulous ladies of fiction, here’s a look at the 2010 Seekers Publishing list (in no particular order – except Ruthy’s ;-). Sandra Leesmith – got the ‘Call’ to publication in July and her first novel , The Price of Victory, is set to join the world of print in Spring 2011. Woohoo!!! Julie Lessman has had a FABULOUS year with the publication of her beautiful novel, A Hope Undaunted, and a wonderful array of awards for her writing. 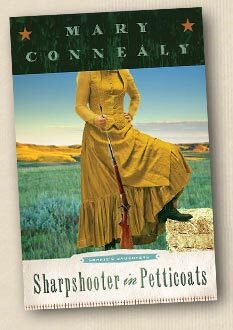 Awards included are #5 on Booklists Inspirational Fiction for 2010, Borders Best for 2009, and finalist for ACFW’s Book of the Year. If you’ve not read any of her previous 4 books, run to the nearest bookstore (or Sam’s) and purchase them. 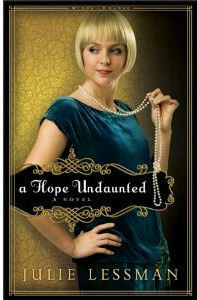 For a review of A Hope Undaunted follow this link. Along with providing helpful writing tips on her webpage, Myra Johnson’s fun novel, Romance By the Book, and beautiful story, Dogwoods in Bloom, came out through Heartsong Presents. To read a little about Romance by the Book, check out my review here. Glynna Kaye has great news. 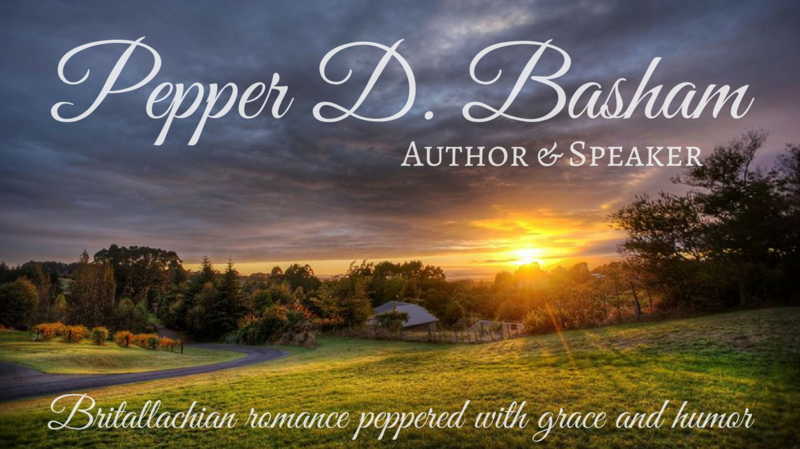 Besides the great reviews for her debut novel, Dreaming of Home, she has a new book to release with Steeple Hill Love Inspired in February 2011. Woohoo! Congrats, Glynna, I’m looking forward to finding Second Chance Courtship in the store. Besides winning the Genesis awards at the ACFW conference and the Maggie’s Inspriational category, Pam Hillman is well on her way to joining her Seeker sisters in the world of finely printed published novels. I can’t wait to see what 2011 has to offer for her. Cara Lynn James debut novel, Love on a Dime, graced the bookstores in 2010 and now she has TWO MORE coming out in 2011. Wow, what a fabulous start!! If you like historical romances, with vibrant characters check out Cara’s books. Missy Tippens, with her usual sweet southern flare, ended last year with her lovely novel, A Forever Christmas, and looks forward to new newest release, A Family for Faith, coming spring 2011. I think she’s been doing a bit of book editing on the side too, isn’t that right, Missy? 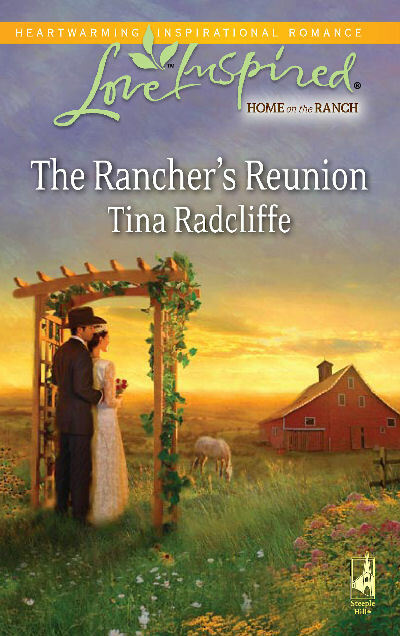 Well, I’m still dancing for joy about Tina Radcliffe’s debut novel, The Rancher’s Reunion, supposedly released next month – but mine is already read and sitting on my bookshelf for all to see. Not only that, but her second book with Steeple Hill Love Inspired is set to come out Fall 2011. Oh so happy for you, Tina!! To stick with that Love Inspired SUSPENSE theme, Debby Guisti has enjoyed a year of GREAT news. Her novel, Protecting Her Child, won the Gayle Wilson Award of Excellence and her novel, Killer Deadline, came out in February. Her new novel (and series) The Officer’s Secret, is scheduled to hit a bookstore near you in May 2011. Let’s keep up the tension with author Cheryl Wyatt – who reached book 7 in her Wings of Refuge series this year. Book 6 – A Soldier’s Devotion– and Book 7 – Steadfast Soldier– both came out this year. Maybe she’ll catch us up on what’s happening for her in 2011? Last – and certainly NOT least, is Ruth Logan Herne. WHAT. A. YEAR!!! I think she’s trying to keep up with Mary. All I have to say about that is…they’re both crazy. 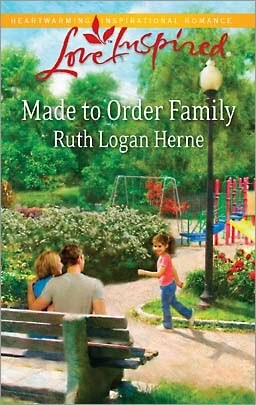 🙂 Her year started with her debut novel, Winters End, and zoomed ahead to end with her third novel, Made to Order Family. They are such GREAT books. GREAT! And there is no end in site for the prolific lady. Besides caring for adorable kids and dogs, cooking like Martha Stewart, and creating snappy replies to anyone who will listen, 2011 looks to be another amazing writing year for her. THREE MORE BOOKS (Er…I stand corrected. Ruthy will be ringing in the New Year with FOUR new books – I forgot her Christmas book 😉 are on the way, starting with Reunited Hearts in April. Oooh, I can’t wait. Check out a review of her novel, Waiting Out the Storm, here. Whew – WHAT A LIST!!! Are you excited to see what the new year has to offer? I sure am. With authors who love Jesus and love writing, there are going to be some very happy readers out there. Next Setting Your Novels to Music? 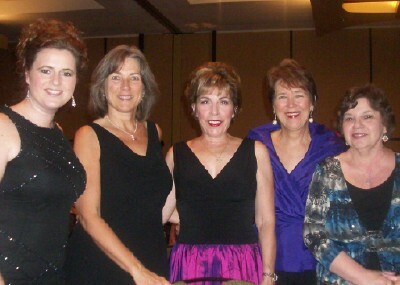 I so appreciate these ladies! I did get to hug Ruthie last month and it was a treat to meet her! Cheryl helped me so much with her critique of my first chapter! JULIE!!! Now she is one who has so blessed me and I hope to one day give her a hug and let her know in person what a blessing she has been!! This is definitely one of the best sites around for writers and a great group of ladies! I am just a wee bit envious that you got to hug Ruthy – but I have HIGH hopes of getting in a good hug this year. You just HAD to rub it in that you got to meet them don’t you?? Oh well. I’ll let you get away with it- this time. And I have every hope I’ll get to give a CASE a hug in September 2011. Woohoo! WHAT fun! The Seekers are AWESOME! I was privileged to meet some of them at the RWA conference in July and more of them at the ACFW conference in September. What a thrill! Isn’t it a treat, Keli. Pepper, thanks for all the publicity and kudos. What you all don’t realize is that you Seeker friends mean just as much to us as we do to you. Your wonderful input inspires us as well, your humor tickles our souls, your caring reaches out. Thanks and hopefully I’ll get one of those hugs from you. Oh my stars, I’m GLAD I PAID YOU AS MUCH AS I DID, PEPSTER!!!! It was well worth it, money well spent, LOL! What a lovely thing to do and I’m so glad you told us about this because I had little ones today (not everyone’s a teacher, so my other mom’s don’t get holiday weeks off) and just cruised back into Seekerville now. Thank you, my friend. God has wonderful, delightful, marvelous things in store for you, besides the gorgeous mother (I’m so stinkin’ jealous!) the great husband, the beautiful kids, and wonderful job that truly benefits others. You amaze me. And your fun brand of writing is going to wow some editor one of these days and we will PARTY HEARTY in Seekerville with you! And all our Seekervillian buds who work so diligently. Because that’s what it’s all about, the hand up, the hand out. The encouraging word. The well-meant advice. And cyber food. I’m just a little (just a tad) excited. Whoa – wait a pea-pickin minute. Did Ruth Logan Herne comment on my blog?!? It’s a VERY big job. HOLY COW, PEP, WHERE DO I SEND THE CHECK???? This is SO stinkin’ sweet of you (to use a Ruthy phrase!) to promo Seekerville like this that I want to hop in the car right now and come down and hug you, girl. But I guess I’ll have to wait till ACFW to do that, won’t I??? I couldn’t agree with you more — the Seekers are hands-down some of the nicest human beings and most diverse women I have ever had the privilege to meet, and I honestly feel like I fell in to a bucket of blessing when I hooked up with them. And I totally ditto everything Ruthy said about you, sweetie. You are an AMAZING whirlwind of energy, passion and talent, and I simply cannot wait to see you published because you are going to be something, girlfriend. JULIA!!! I definitely have a hug with your name on it, girl, because right back at ya — you have been an incredible blessing to me as well, which pretty much is how God is — nothing with Him in the middle is ever one way, is it??? I’m perfectly okay with taking my time in the published arena. I’ll keep writing for the sheer joy of writing, but I’m certainly going to be glad with it someday. I can’t imagine the thrill of holding your book (the one you’ve sweated, slaved, dreamed over for years). WOW! Love you, Jules. You are such an encouragement to me. I totally concur with Julia. PEPPER! Thank you for the shout out! In 2010 Seekers celebrated 5 years together and 3 years of blogging. But it’s our “Friends of Seekerville” — like you! — who make the blog come alive and fun for everyone! Wishing you all the BEST in 2011! As always, Glynna, my pleasure. Seekerville has truly been a blessing to me this year. you must be EXHAUSTED from that list. And EXCUSE ME!!!! Ruthy and I are crazy??? You are making Julie felt left out. And Ruthy, four books next year? Really? I lost count. Wow. So our success is YOU, Pepper darlin’. Also, I got my tooth fixed. I’m a little shakey. Yes, Mary. Exhausted – but so glad you got your tooth fixed. Shakiness? From the tooth fixing or….something else? 😉 Too much eggnog, eh? Ooooo, yes! I would say that the Seeker ladies are hands down some of the most loving, caring, writers EVER! And boy, can they write. I’m always amazed at how God uses them to touch others with their tales of love. I’m hoping for a Writers Alley get together in 2011. Talk about fun?!? that would be super-awesome. Wow, Pepper, thank you for this lovely promotion of Seekerville and Seeker books!!! Can’t wait to return the favor one day!! I have a lousy cold and feel terrible. Your post is the best medicine I could have. No, no, no Pepper! You’ve got it all wrong!! YOU made MY day when I got to hug you at ACFW! You are so cute and bubbly on the digital screen, but downright lovable and adorable in person! Thanks so much for your kind thoughts and words for Seekerville. But remember, we would be nothing without you! I absolutely love our extended Seeker family. All the food and fun, and don’t forget the some of the outrageous comments to posts that take us on conversations that have nothing to do with the original topic. I don’t know if the good Lord thought far enough ahead when He tossed you to the Seekers…but we’re so glad He did, LOL! I know I’m blessed to call you friend. AND, I’m still scratching my head over why He gave you so many more hours in the day than any of the rest of us. Do you ever stop to look at all the stuff you do during the day? Work outside the home, raise 5 kids, are the perfect wife to your adorable husband, keep up with numerous blogs and emails AND write novels spanning multi genres?? Sheesh. I want to know how much you paid the big guy AND if I can get in on the bribe, LOL! You go, Pepper! You are my hero!!! Honestly, Seekerville would not be what it is today without our faithful Seekervillagers and/or Seeker Stalkers. We’re like one HUGE and wonderful family, and it’s fun to see what craziness each day is going to bring. Praying God blesses you big-time in 2011, Pepper! What a sweet post, Pepper!! Thank you! We love your blog, too. Pepper! Thanks for mentioning us! Seekerville wouldn’t be what it is without friends like you. Big hugs and boisterous thanks! As a fellow Seeker-stalker, YAY What a fun list of great ladies and great books. I’m anxiously awaiting the chance to party with the Seekers when you announce your first sale, Pepper. And it was AWESOME hanging with you and the Seekers in Indy. Sorry I’m so late to the party. I appreciate the key to unlock Mary Nealy. I’m so jazzed about that. Wow. The Seekers are amazing, aren’t they? I check two blogs every morning and mine is not always first.